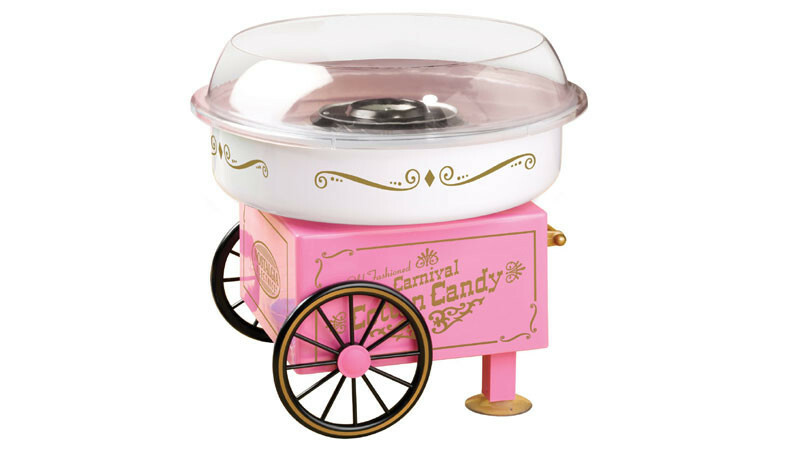 The Nostalgia Electrics PCM305 Vintage Collection Hard and Sugar Free Cotton Candy Maker is surely bound to bring back all those childhood memories of carnival fun. This machine’s vintage design is clearly meant to be reminiscent of the old days, but with the functionality one would expect from a modern day device. It has an output wattage of 450 Watts which results in an initial warm up period of 10 minutes, which means that you may not be able to produce large quantities of cotton candy. This machine is more suitable for casual use at home for birthday parties or to simply whip up a few tasty holiday treats for the kids. This device is small enough to store on the kitchen countertop as it is only 12.3 inches long and weighs just over 5 pounds. The parts such as the cart, rim guard, and extractor can be easily disassembled to allow for easier washing. 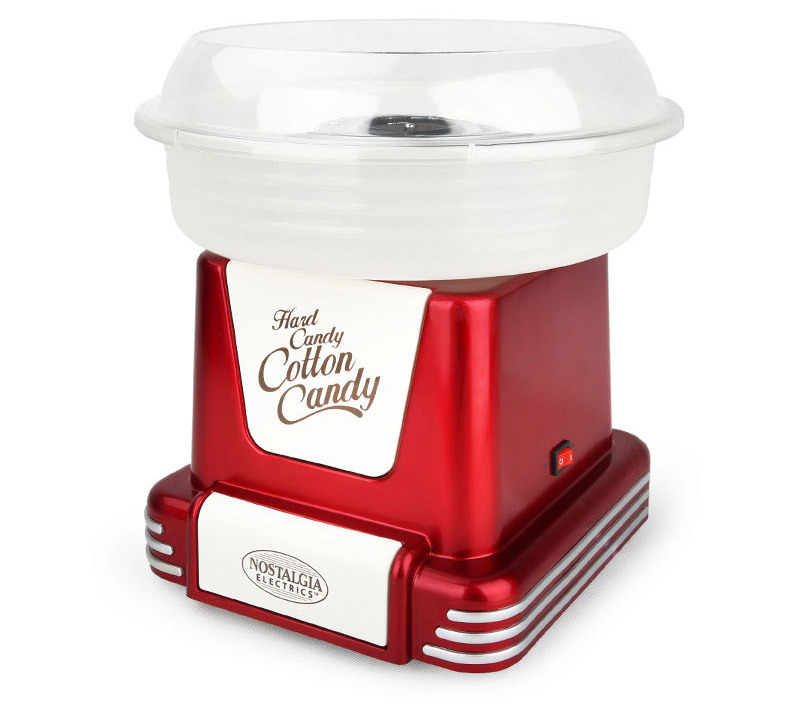 This cotton candy machine is able to produce sweet, fluffy cotton candy from hard candy as well as from sugar-free candy, which makes it a great alternative for those who are trying to cut down on their sugar intake.